20 years in business serving the trucking industry is a celebratory milestone for any company. Dawn Montez’s woman-owned business, Traffic Management, Inc., is no exception. Montez started brokering freight in a one-room office above a warehouse. Today, the Traffic Management team has grown into a more successful and diverse business with satisfied freight service customers internationally and locally in Minneapolis & St. Paul, Minnesota. The goal in September of 1997 was to provide top notch service to those customers whose freight was entrusted to Traffic Management to move. The goal has not changed for Montez and her team of 15 full/part-time staff – delivering top notch customer service to the freight industry. Because of this, some of those early customers still rely on Traffic Management to manage their shipments today. Traffic Management could not be as successful as it is without the help of a lot of great trucking companies that they rely on to move their customers’ freight. 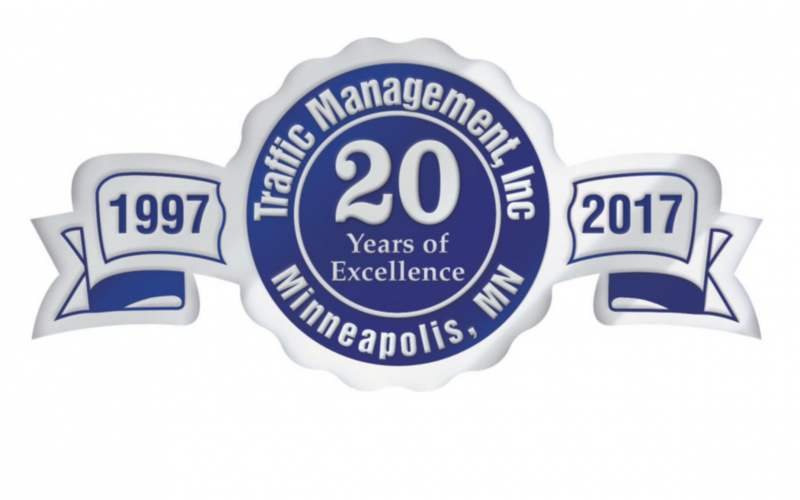 Twenty years of successful relationships and wonderful employees has made Traffic Management what it is today and we are very proud to mark this anniversary of our company.